Everyone loves a little bling-bling, and what's more classic than solid gold? I feel like gold is one of those colors that I sometimes get intimidated to wear. 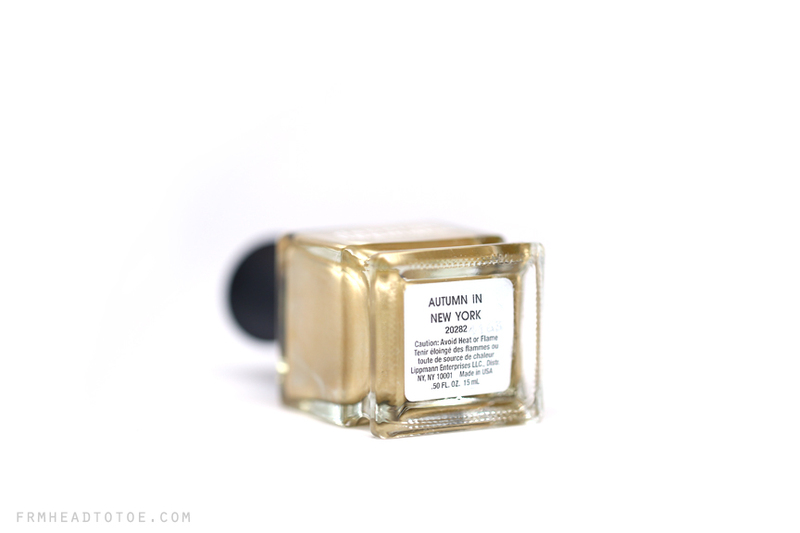 Maybe it's the bold statement or the fear of it clashing with the yellow undertones in my skin but this week I was totally feeling the warm look of Deborah Lippmann's Autumn In New York. Similar to the gunmetal Take The A Train (from the same Marquee Collection which I reviewed here) this polish has a smooth metallic look to it with a satin finish. Autumn In New York looks like a molten, liquid gold with an almost greenish hue. Really lovely, really unique, and one that garners compliments. Here I applied a base of OPI Nail Envy using two coats to make a smoother finish since I naturally have a lot of nail ridges. I then used 2 coats of Take The A Train and topped the look with Seche Vite. Although this does self-level with a thick enough coat, it also does show streaks very well so I recommend using a thin coat first then a heavy second coat ti smooth everything down. Overall, I love how unique and metal-like this polish looks however there is definitely a learning curve to get the perfect application. Because it's uncommon to get the same gorgeous foil finish in another polish though, you may love having this unique precious metal in your collection. If you want to pick up Autumn in New York, it's available now at Nordstrom, Sephora, and Zappos for $20. Readers, how do you feel about metallic-finish polishes? Do you love or hate gold polish? Let me know in the comments! Discover cool designer handbags with super cheap prices from AliExpress! Gorgeous color!!! I love it! 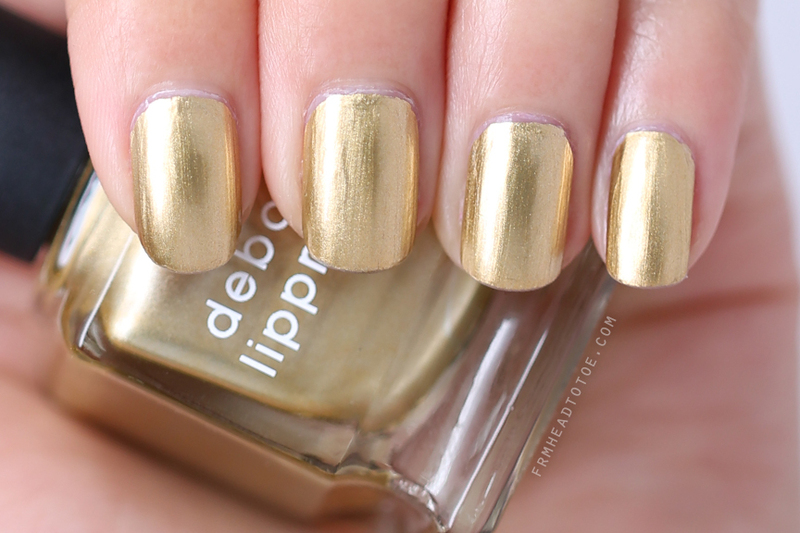 Absolutely adore this gold nail polish!! !